Black & Decker hand vacuums, also referred to as Dustbusters, are small, light-weight, hand-held devices. They use suction, much like a vacuum cleaner, to vacuum and clean dust, dirt, animal hair and small spills. 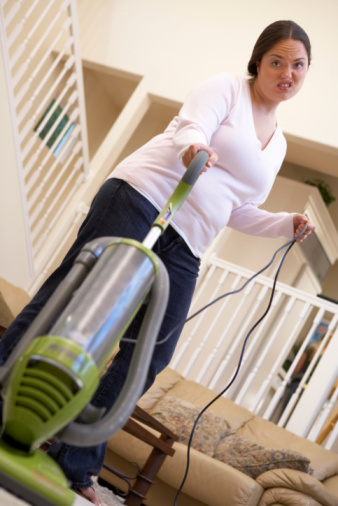 Due to the size of hand vacuums, they are commonly used to fit in areas that full size vacuums can't reach, or are too bulky to easily use, in areas such as crevices, corners and stairs. Black & Decker hand vacuums use rechargeable batteries and must be charged in order to work properly. Eventually, the rechargeable batteries will need to be replaced. Unplug the Black & Decker Hand vacuum from the charger. Ensure the hand vacuum is set to the off position. Remove the screws from the appliance housing with a Phillips head screwdriver. There are four screws located on the bottom of the hand vacuum. Remove the cover by lifting up once the screws are removed. Remove the battery casing or housing unit, as well as the motor and switch module that are attached to the battery casing. Use a screwdriver or flat knife to lift or pry the batteries upward and remove them from the casing or housing unit. Place the new batteries inside the housing unit. Black & Decker Hand Vacuums take nickel-cadmium (Ni-Cd) rechargeable and recyclable batteries. Reinstall the battery casing or housing unit, the motor and switch module. Place the cover back into place. Screw it back into the appliance housing by screwing the four screws back into the screw holes with a Phillips head screwdriver.